Hello Dealsnloot readers, welcome to the Number one Free Tricks blog. 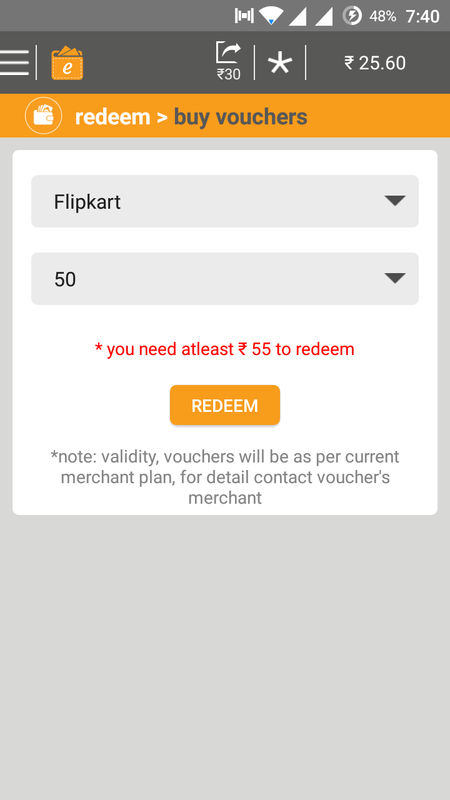 Now You Can Redeem Your EarnTalktime Earning As Flipkart Voucher.EarnTalktime makes it easy to earn money by downloading the best free android apps and by filling out short surveys etc from your mobile earn talktime is the first app to give you unlimited mobile prepaid recharges, DTH top-ups, postpaid bill payments and much more.You can redeem your earned money for Mobile recharge, DTH recharge and Flipkart Gift Voucher. Share this app with your friends and get Rs.30 for each referral. 2. Open the app and register your account with your mobile number. 3. They will automatically verify your mobile number. 4. Now install some apps from their offer section to start your earning. 5. You can earn upto Rs.200 free recharge by installing the apps. 6. 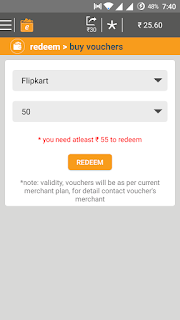 Minimum Recharge amount is Rs.10 and minimum redemption amount is Rs.50 for Flipkart voucher. 1) Click on Redeem button at left side in the EarnTalktime App. 2) Then Click on Buy Vouchers. 3) Boom! 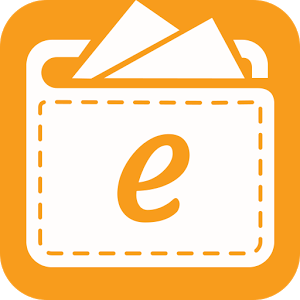 You will get you vouchers from ETT. > If you are new user of Earn Talktime app then first of all you will have to install the app from playstore or from apk file if you have. Existing users need not install the app once again. Previous installation will do. > Run the app and on the landing page enter your Mobile number and verify it to become eligible for the app. > Now click on ‘Offers’ button and download atleast one app. This is a must task which you need to complete to avail unlimited free recharge from Earn Talktime App. > Now click on ‘Invite’ tab to get your unique referral link and code. Copy down this code somewhere at safe place because we would be requiring it at layer stage. > Uninstall from your device ‘Earn Talktime app’. > Now install Android Id Changer app and change your device Id. > After successfully changing your device Id, install donkey guard app. > Run donkey guard app from playstore and change Google Playstore Values eg: Device Id, manufacturer id etc. > Now login to playstore with different gmail account. > Now paste your referral link into the browser and download Earn Talktime app from it. > Now install and run the app. > Enter different Mobile number from the previous installation. > You will get an OTP code in the entered mobile number. Verify that number by entering the received OTP in the presented screen. > After verification you will get Rs 10 in your wallet instantly. Now go the offer page and download any one app to get remaining amount that is Rs 30. In all you will get Rs 30 if your friend download app from your link and install atleast one app from the offer page. > That’s all you need to do. Now repeat the whole steps from the beginning and earn unlimited free recharge from Earn Talktime App. You will get Rs 30 per mobile number with this trick so the more number you have, the more you will earn. Suppose you have 10 mobile number then you can earn minimum of Rs 30* 10= Rs 300.